This week’s Your News to Know brings you the latest happenings in the world of finance and the gold market. Stories include: Gold seen entering long-term bull cycle, the war on cash is good for gold, and central banks are buying gold with a vengeance. Diego Parilla, managing director of commodities at Old Mutual Global Investors, is the latest money manager to voice a strong support for gold. 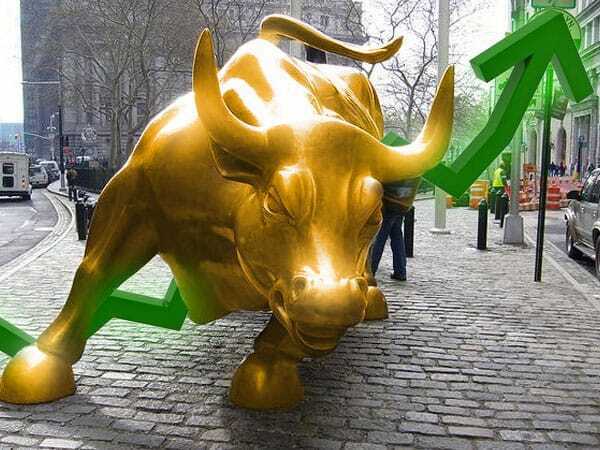 Parilla – who has over 20 years of experience in the precious metals market working for firms like Goldman Sachs Group Inc. and Bank of America Merrill Lynch – predicts a major rise in gold prices over the next few years. The culprits, he believes, are bubbles that are found in everything from bonds to credits and equities – these have no choice but to burst eventually, and when they do, Parilla sees gold soaring. Like several others, the experienced investor foresees a “perfect storm” of events that will allow gold to perform best when other classes are doing worst. Parilla places a large portion of the blame on central banks and their questionable monetary policies, as exemplified by the Bank of Japan who recently delved deeper into negative rates. Parilla explains the formation of bubbles in a straightforward, yet dangerous sequence: bond-buying distorts the value of government bonds, forcing investors to lend further out which eventually weakens the credit market and brings financial-asset inflation. Regardless of who’s to blame, Parilla expects gold’s multi-year bull run to yield “a few thousand dollars of upside” on its price amid worldwide money printing and low or negative interest rates. Compared to the downside of only a few hundred dollars, Parilla feels the risk-to-reward ratio is extremely asymmetric; making gold as safe a bet as they come. Many other notable investors feel the same way: billionaire bond-fund manager Bill Gross sees little choice but gold and real estate while Paul Singer, David Einhorn and Stan Druckenmiller all came forward this year with reasons to own the metal. In a recent piece on Forbes, analyst Frank Holmes highlighted the fact that we are currently in the territory of negative real interest rates – an environment in which gold excels, just as it did during its peak in late 2011. Yet Holmes, like many others, sees another ongoing issue that could propel gold to new heights as it gains steam: the so-called war on cash. Holmes panned a recent book by Harvard economics professor Kenneth Rogoff called “The Curse of Cash”, seeing it as the latest effort by cash detractors to strip citizens of an asset which at least doesn’t have negative yields. Holmes presents multiple alarming arguments against the downsizing or elimination of cash – most centering around a loss of economic liberty. Cyprus, Colombia and Venezuela are just some examples of what happens when citizens allow an inept government to control their assets. However, Holmes and Rogoff agree on one thing: the harder governments try to remove or control cash and lower interest rates to stimulate spending, the more gold will flourish. Rogoff cites Indians as an example of a people who have used gold as protection from government-derived uncertainty for centuries – no matter how many times the regime of India has changed, the yellow metal remained the preferred store of value that has never let its people down. Today, gold in India is as popular as ever in both urban and rural areas, despite the government’s efforts to control it. It’s estimated that Indian households currently hold more than 20,000 tons of gold – this is more than the official gold holdings of the U.S., Germany, Italy, France, China and Russia combined. And with strong speculation that a rupee devaluation is imminent, Indians who stored their wealth in gold will be rewarded for their prudence, just as they were in August of 2013 when the currency unexpectedly dipped to record lows. After four decades of attempted demonetization, gold is once again being accepted by central banks as a key element of monetary management. In a recent article on MarketWatch, David Marsh outlines a research paper titled the “Seven Ages of Gold” by the Official Monetary and Financial Institutions Forum that details gold’s movements during the past two centuries. The paper, which might be of particular interest to those wanting to understand central banks’ renewed interest in the metal, lists the seven stages of gold starting with the pre-1871 “Pre-Gold Standard” era. The subsequent stages saw the metal – along with governments’ reserves of it – rise and fall sharply, most notably when gold’s ties to the dollar were severed and the metal seemed stuck in limbo. Marsh explains that we are currently witnessing the seventh and last stage of the mutual trajectory shared by gold and governments, appropriately titled as the “Rebuilding” era. Starting with 2008, central banks have been net buyers of the metal and have since increased their holdings by 9.4%, with developed countries holding onto the metal and developing ones clamoring to get more of it. Annual central bank gold purchases of 350 tons a year signal a return to the 100-year average up to 1970, when interest in gold began to dwindle. Marsh sees a clear connection between governments’ renewed interest in the metal and global financial uncertainty. And while total official gold holdings are back to their early-1950s levels and seem ready to reach the peak level set in 1965, there is a clear difference compared to 70 years ago: as opposed to the U.S. being a near-monopoly holder, reserves of the metal are more evenly spread across other nations, something Marsh finds symbolic of the growth of a multipolar world economy.